I have to admit, this was totally my wife’s idea. 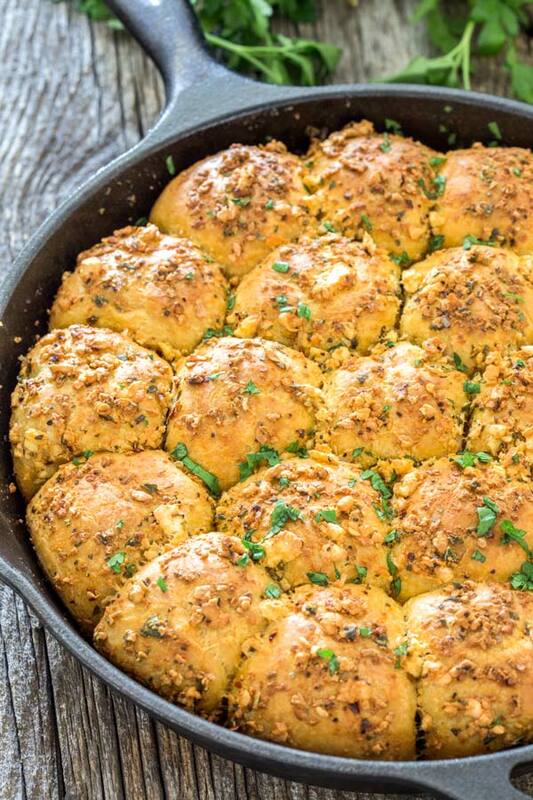 I mean who would have thought of making any sort of bread into a cast iron skillet anyway, let alone a bunch of rolls. However this wasn’t even the most interesting side of the story, what will really blow your mind are some of the ingredients that we used. If you want to make your life easier, just like we did, buy the frozen rolls that are plenty to feed a family of at least four and make the herbs from whatever you like or can find in your pantry. For us, the combination of crumble feta cheese, basil, thyme and smoked paprika was pretty much a no brainer since I am a fan of all of the above. Add those 20 minutes of baking and you will probably be making this recipe within 30 minutes. Hope you enjoy it! 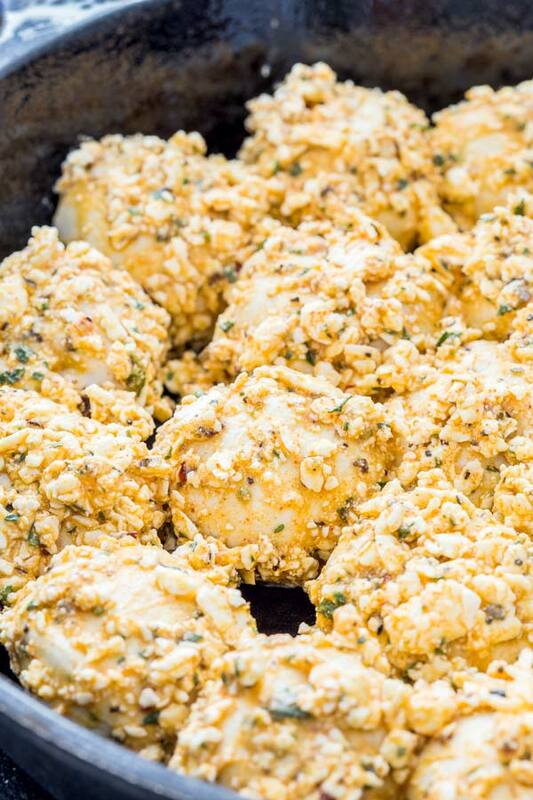 In a shallow plate mix together the feta cheese with the olive oil, basil, thyme, smoked paprika and black pepper. Take each bread roll and roll it in the cheese mixture, making sure some of the cheese sticks to the roll, then place it in a 12 inch skillet. Repeat with remaining rolls making sure there is some space between the rolls, so they can rise. If there is any cheese left over after you're done with the rolls, sprinkle it over the top of the rolls. Cover with a clean kitchen towel and let them rise in a warm place for about 2 hours, or until doubled in size.